Well hello there! Happy Tuesday. 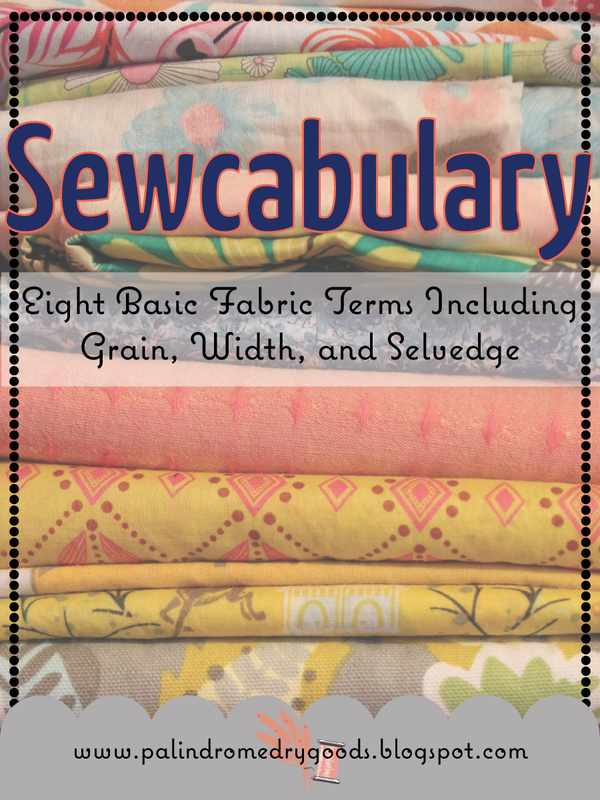 In this week's Sewcabulary lesson we'll learn some basic, but crucial, fabric terminology. If you have a piece of fabric at home, I recommend pulling it out as you read along so that you can find these terms and look at them in person. As always, if you have questions, please feel free to ask them in a comment (below the post) or shoot me an email! 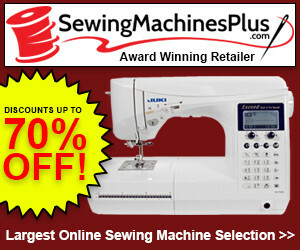 I'm so glad you're here today and I hope you'll learn a thing or two about fabric. 1. Right side of the fabric is the pretty side. 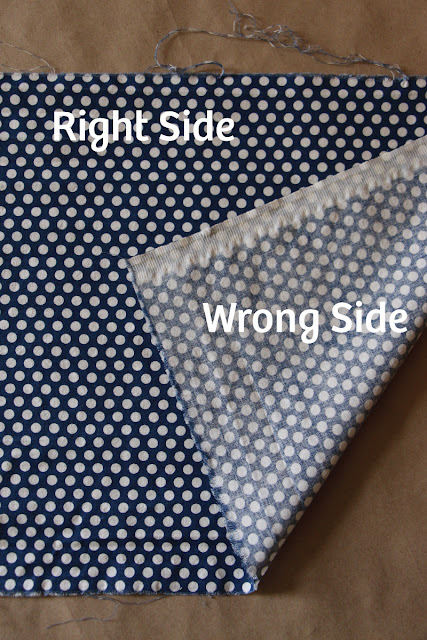 In many sewing patterns you'll often see the phrase "right sides together". 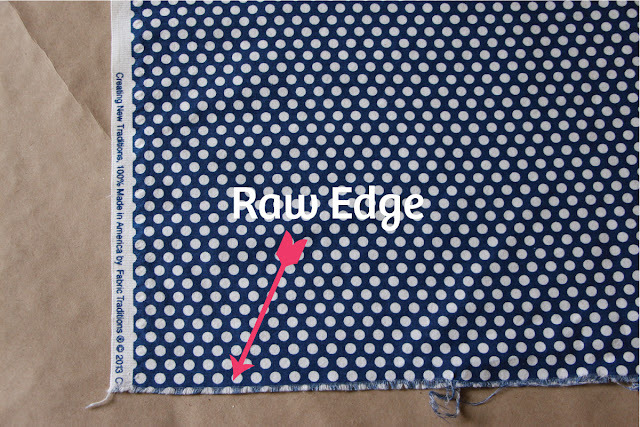 This means to place (or fold) the right sides of the fabric so that they touch one another. 2. Wrong side of the fabric is the ugly side. When we place our fabric right sides together it leaves us looking at the wrong side. 3. Selvedges are the finished edges of our fabric, the edges that do not fray. 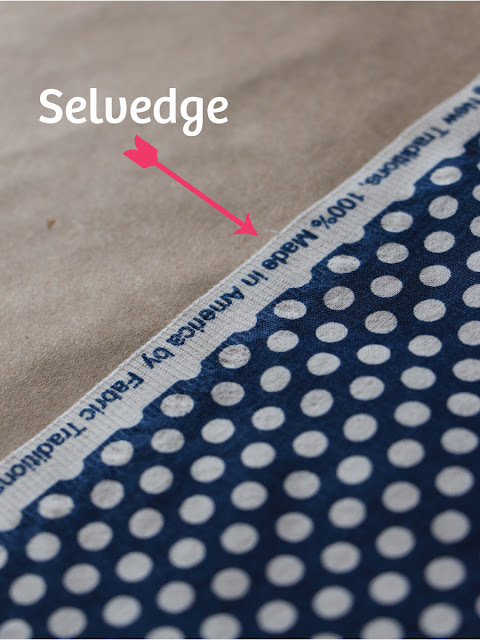 Selvedges are created when threads that run from side to side wrap around threads that run up and down. For a great diagram of this read this post. 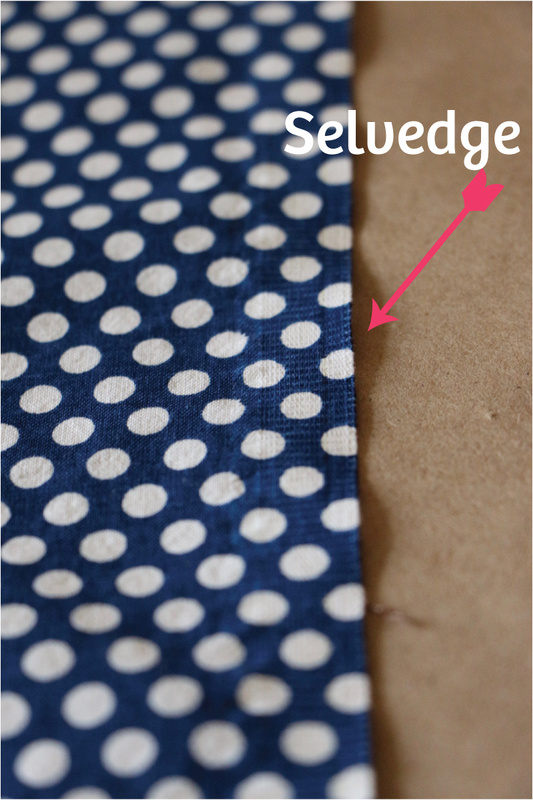 On a brand new piece of fabric we will have two selvedges, running down each side. 4. 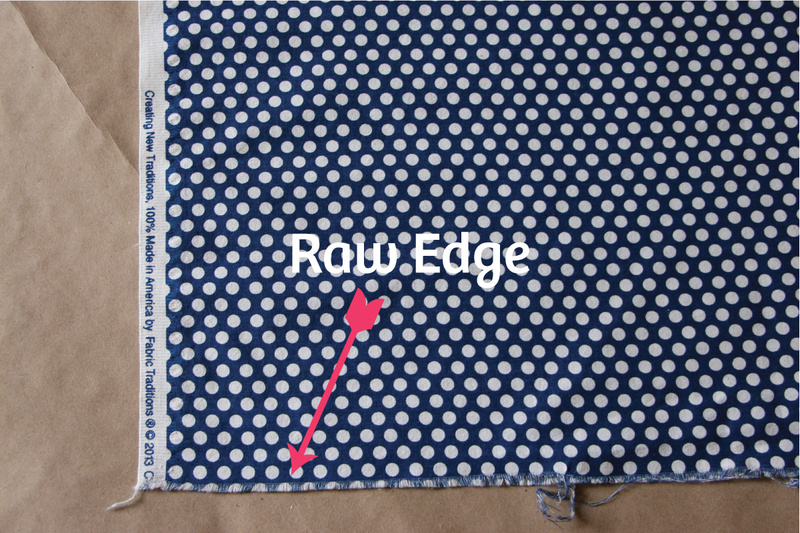 Raw Edge is the edge perpendicular to our selvedge. This edge does fray and runs between the selvedges. 5. Straight Grain follows our selvedge, running parallel to the finished edges. The threads that make up our straight grain on the loom are called warp threads. To cut out straight fabric pieces, we make sure to follow our straight grain. 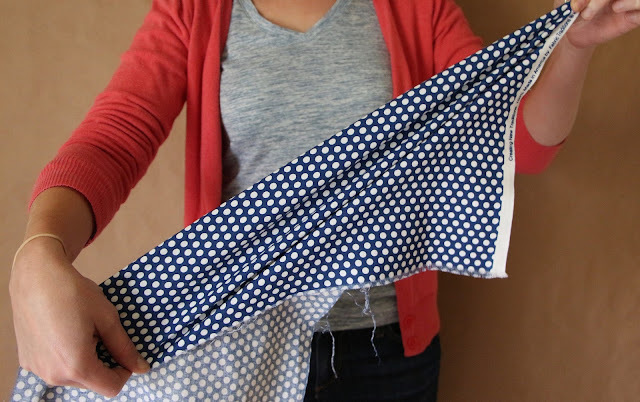 For more on how to accurately cut out patterns, see this post. 6. Cross Grain runs parallel to our raw edge, the edge that does fray. 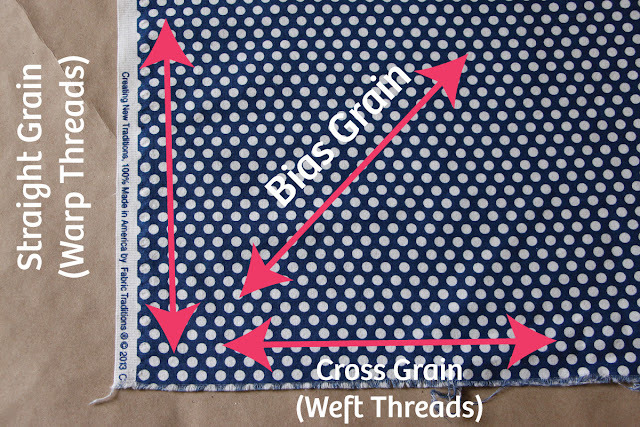 The threads that make up our cross grain on the loom are called weft threads. 7. 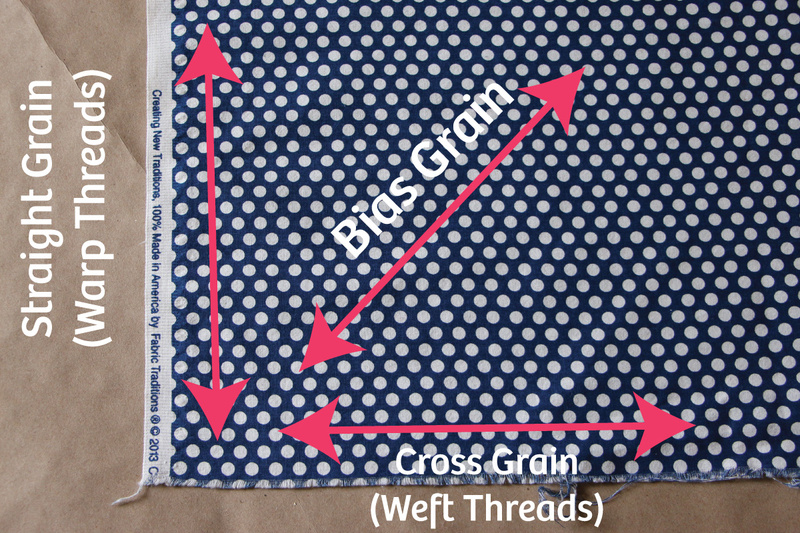 Bias Grain runs diagonal to our cross grain and our straight grain. If we pull along this grain it will stretch considerably more than either the cross grain or the straight grain. 8. 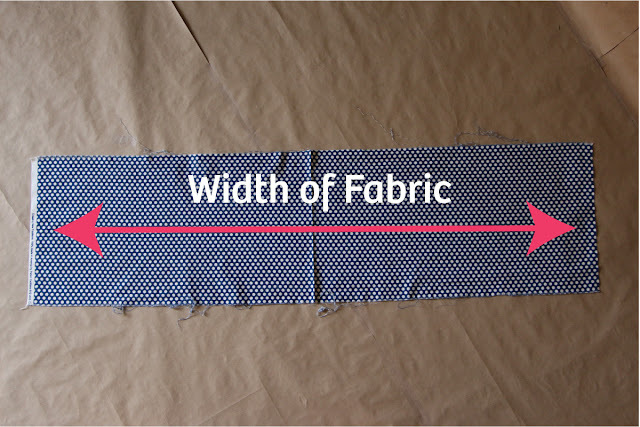 Width of Fabric is the distance between selvedges. Modern day fabric comes in many widths, but the some common sizes are 45", 54" and 60". 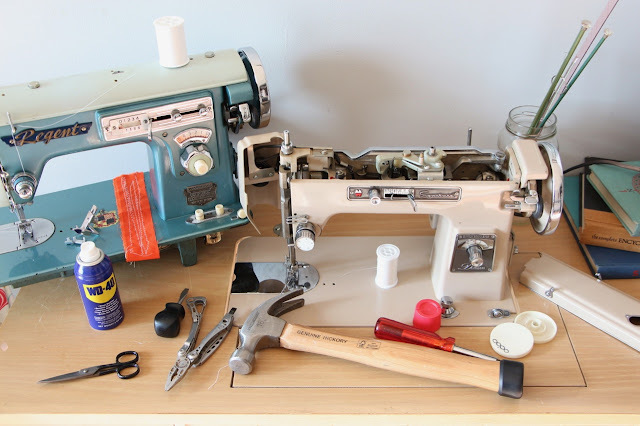 Are there any fabric terms you've heard that I didn't cover? If so, please comment below and let me know! Confused about one of the terms I did cover? Holler at me! 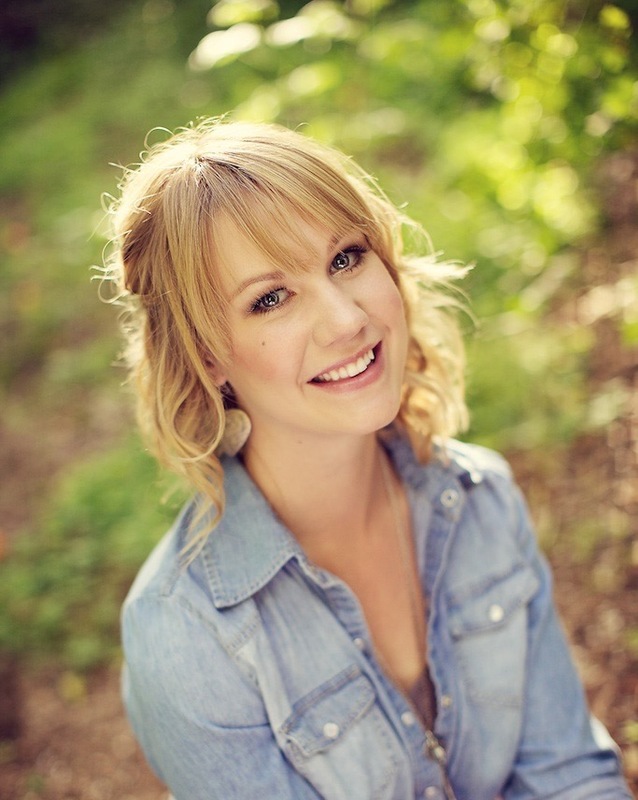 You can also follow me on Facebook, Instagram, and on Pinterest!